UberMenu can optionally display dedicated close buttons in your submenus. These are important if your top level items are links, so that the submenus can be closed by your users. 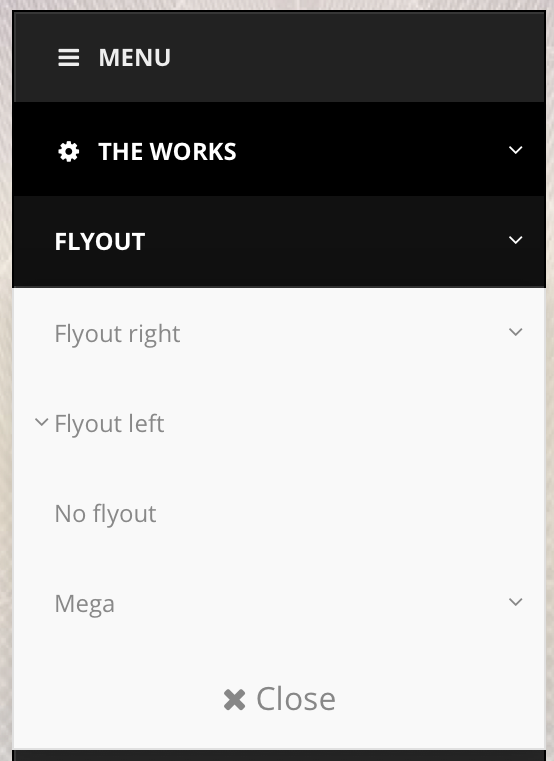 By default, the close button will only appear at the bottom of the submenu, but you can configure them to display on the top, bottom, or both. You can choose whether the close buttons will display below a certain breakpoint, when a mobile device is detected by WordPress (beware of the caching implications), or when touch events are detected.